If you want to gain health benefits, increase physical fitness and trim down, walking is the ideal exercise, most experts agree. Exercise is probably one of the top New Year’s resolutions Americans make each year. However, many of us may not keep such resolutions because we incorrectly believe exercise has to be torturous to be effective. Actually, one of the best ways to exercise yourself into fitness is both pleasant and inexpensive. If you want to gain health benefits, increase physical fitness and trim down, walking is the ideal exercise, most experts agree. 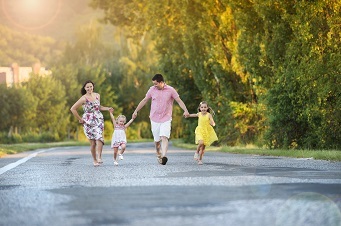 Exercise physiologist John Duncan, Ph.D., says a beginning walker should start with one mile and gradually increase the distance to two to three miles a day four to five times a week. Such a regimen can keep you physically fit and heart-healthy, Dr. Duncan says. To help make exercise fun, forget about technical items such as target heart rates, weights or how high you should swing your arms. Instead, just enjoy the walk. Choose a place that is interesting to you- perhaps a nature hike, the mall, local high school track or even the neighborhood block. Walking with friends often helps with the commitment to exercise. Walking also burns more calories than jogging! A woman who weighs 140 pounds will burn 228 calories jogging two miles and the same woman will burn 270 calories walking the same distance. If you make yourself heavier while you walk, through additional clothing or weights, you will also burn more calories. Include walking as an important part of the New Year. You will not only feel good about your new commitment to regular exercise, but you will be healthier, look better and feel more alive.